HERE AT AQUARIUS POOLS WE ARE SCUBA CERTIFIED WHICH ALLOWS US TO DO UNDERWATER REPAIRS. 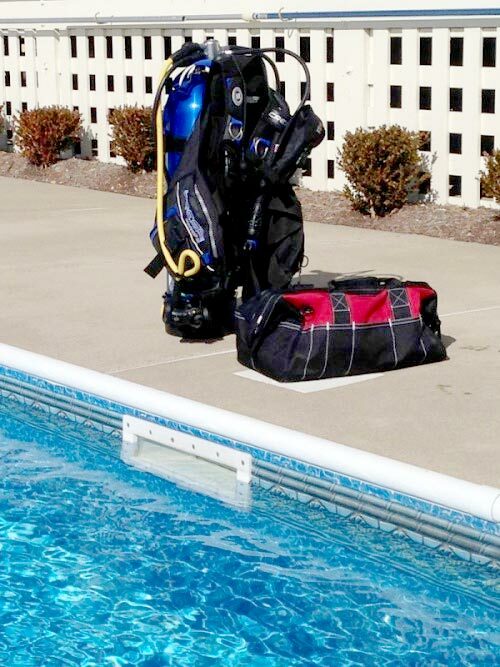 Companies without a scuba certification are forced to drain pools to fix many problems, wasting time and water. Take for example vinyl liner pools; when the liner gets punctured or torn we simply dive down, find the hole and patch it. Uncertified companies must drain the pool and walk the pool till they find the problem, which takes more time and ends up costing you more.